Selma Railroad Days is entering its 43rd consecutive year. This event is held the first weekend in October each year. 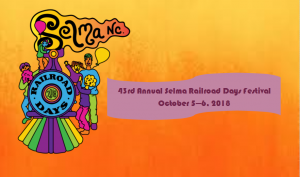 Selma Railroad Days celebrates everything that is Selma, NC.